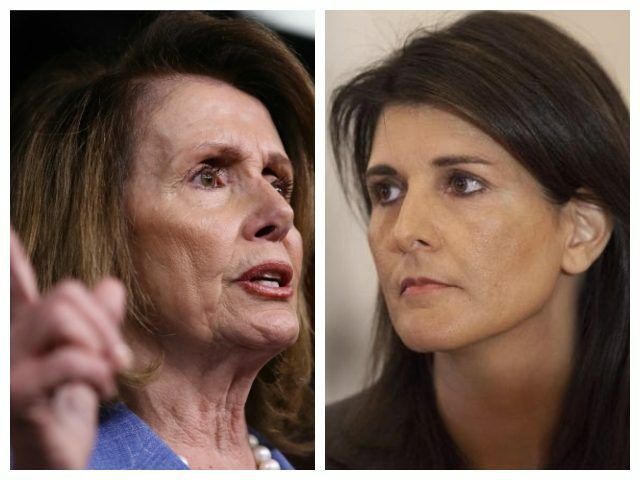 Nikki Haley: Does Pelosi's Call to 'Protect God's Creation' Include Unborn? Pelosi announced the committee and its members on Thursday, which does not include Rep. Alexandria Ocasio-Cortez (D-NY), who unveiled her Green New Deal climate change resolution on the same day. The Democratic Party has been under fire from pro-life advocates for recent abortion legislation signed into law by New York Gov. Andrew Cuomo and comments by Virginia Gov. Ralph Northam on the subject. The “Reproductive Health Act” permits abortions up to the time of birth for the broadly termed ‘health’ of the mother and revokes the requirement for medical care for babies born alive after a failed abortion,” according to the Liberty Counsel. The law also repeals language that classified the death of the child in the womb as a homicide. Pro-life supporters have long pointed to the inconsistency in the legal treatment of the unborn child in cases involving violence against the pregnant mother leading to the baby’s death versus when the mother chooses to have an abortion. The pro-life community has responded to recent legislative action supporting late-term abortions, including the legalization of those abortions in New York and a failed attempt to make a similar law in Virginia.